Confession! I haven't had my hair cut in a long time -we are talking years, possibly more than 5? I can't even quite remember it's been that long. When I was very young, all through primary school I never wanted to dye my hair, I always told myself and anyone who asked that I would just never do it. I would have it trimmed and cut when needed but that was that. Then one day...in high school, that changed! I had a few little bits of red put through it (my hair was and still is dark brown), done by a professional at a salon. I LOVED it and after that I was changing my hair all the time, every few weeks I would add a new colour in a different way and by this point I was doing it all by myself. I had purple streaks, I had dark brown hair with bright red roots (I liked that a lot! ), I had black and pink -think Kelly Osbourne pink, I had blue, you name it...in all different lengths and styles. As I then got a little older and reached my 20's I stopped dying it, I started to let it grow and let it get back to a really healthy condition. I did always take special care of my hair when I was doing so much to it in an attempt to keep it as healthy as possible. Being honest though, you can only do so much and while it looked healthy and shiny and well looked after it was probably not it's best. I've now been growing it out since last time I was anywhere near a salon and its reached quite a long length -which I wanted, but with it not being trimmed into any kind of style for years now, well...it can look shapeless sometimes. 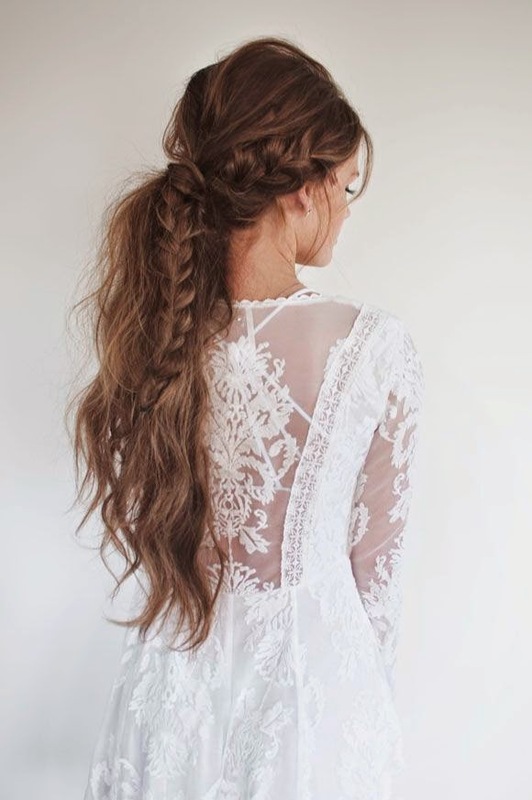 This has left me with serious hair envy of late, and led to many hours spend on Pinterest trying to find inspiration. I think it's really about time I went for a visit to the hair dressers but one thing I know for sure is that I would like to keep as much of the length as possible. Even if the temptation is there to chop a lot of it off...I know I would regret that! I love long hair, even though I agree that it can be hard to manage at times! I had super long hair a couple of years ago, but I rarely styled it so it tended to look messy. Now I'm growing my hair out (well, trying to resist the temptation to get it cut!) and I recently learned how to French braid my own hair - I always thought it would be difficult, but I watched tutorials on YouTube and found it so much easier than I expected! When I'm not too lazy, that's my favorite hairstyle... I bet it would look amazing on you!